We enjoy collaborating with our clients and photographers to enhance the theme and mood for all styles of photo shoots including styled senior portraits, boudoir sessions, maternity pictures, engagement shoots, head shots, avant garde themes, and any print or commercial work. We are honored to team up with award winning, surrealist photographer Lissa Hatcher for some of her projects where she creates, directs, styles, and photographs magical moments. From concept to post production, her images are a result of her dreams and her vision and imagination is beyond extraordinary. Thank you, Lissa, for allowing us to be a part of your world. We are proud to be the hair and makeup artist team for Samantha Dahlberg’s senior styled sessions and models. Samantha is a young, extremely talented artist with a huge passion for senior photography who also creates the concepts for her seniors based on their personality and interests. Together, with hair and makeup, we bring the themes and concepts to life and have an awesome time getting ready with the models and creating unique looks to enhance the style of the shoot. She also works with local Tampa based models to help build and diversify their portfolios. Samantha is also the photographer who captured our headshots and images in the “about us” page and totally understands what we are all about! Thank you for bringing out our best side and having fun with us for the shoot. Our gorgeous model friend and client, Jamie Flowers looked just as stunning two years after her wedding when she wore her dress again for this beach styled shoot captured by fashion and lifestyle photographer Neil Lee. On this hot day, we made sure to lock in the curls with styling products made for our humid Floridian climate, and airbrush makeup that is sweat and weather resistant so she stayed flawless through hours in the sun, heat and humidity. 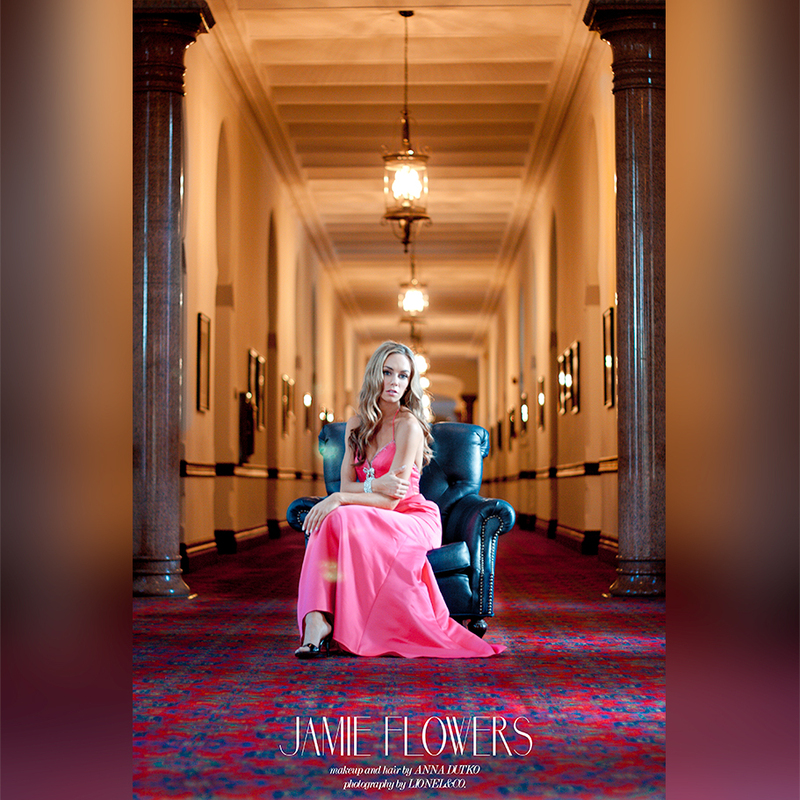 Tampa Based Lionel Noah, who specializes in portrait and editorial photography, captured Jamie’s grace and elegance beautifully at the University of Tampa. A former model himself, Lionel is great at directing and posing the models to create breathtaking images.